Dr. Baras is a Fellow of the IEEE, SIAM and AAAS. He was elected Foreign Member of the Royal Swedish Academy of Engineering Sciences, March 2006. 1983, Alan Berman Research Publication Award, from the Naval Research Laboratory; for "Analysis and Evaluation of an Advanced EW System I: Deterministic Formulation", Naval Research Laboratory Technical Report 8629, August 11, 1983. Dr. Baras' research interests include scaleable multicast security; integrated management of hybrid communication networks; modeling and performance evaluation of large broadband hybrid networks; fast internet over heterogeneous (wireless-wireline) networks; manufacturing process selection for electromechanical products; intelligent control; wavelets; robust speaker identification; low complexity, high fidelity, low rate speech coding; image processing and understanding; learning clustering algorithms and classification; distributed control (or decision) systems; stochastic dynamic model building; stochastic control and scheduling; real-time sequential detection and estimation; computer-aided control systems design; queuing systems; quantum communications; nonlinear systems; and radar systems modeling and performance evaluation and distributed parameter systems. 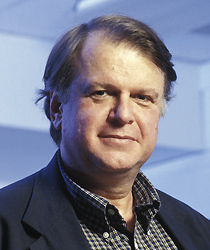 Baras honored for his technical contributions and commercialization leadership of Internet over satellite, hybrid satellites, and terrestrial networks. AIAA Associate Fellows are individuals of distinction who have made notable and valuable contributions to the arts, sciences, or technology of aeronautics or astronautics. The medal is given "for exceptional achievement in systems engineering and systems science." The project marks the first time a UAS Test Site operator has flown using only instrumentation and cameras. Inductees recognized for prolific spirit of innovation. Professor spoke on cooperative multi-agent systems and ‘magical’ graphs. Baras speaks at GE Global Research Controls Symposium on Model-Based Systems Engineering. Baras Co-Editor of New Book, "Decision and Game Theory for Security"
Book addresses security investments, privacy, network security, authentication, and algorithms for security. Book offers modern view on algebraic path problems, including theory, algorithms, and applications.